Landscape & Garden Fountains provide homeowners in the Hampden County, Mass or Hartford County CT. area with a unique and creative way to decorate their outdoor living space. Many homeowners desire the soothing sounds of running water, but are just not ready for a pond or simply can't afford one. Aquascape's handcrafted decorative line, provides the perfect solution for capitalizing on these small, entry-level fountainscape water features. Got a spot in your garden leaving you without ideas about what to put there? Maybe it’s a shady spot where grass struggles to grow. Perhaps the soil isn’t the best for nurturing healthy perennials and annuals. Or maybe you’re just interested in attracting a few more birds and butterflies to that location. 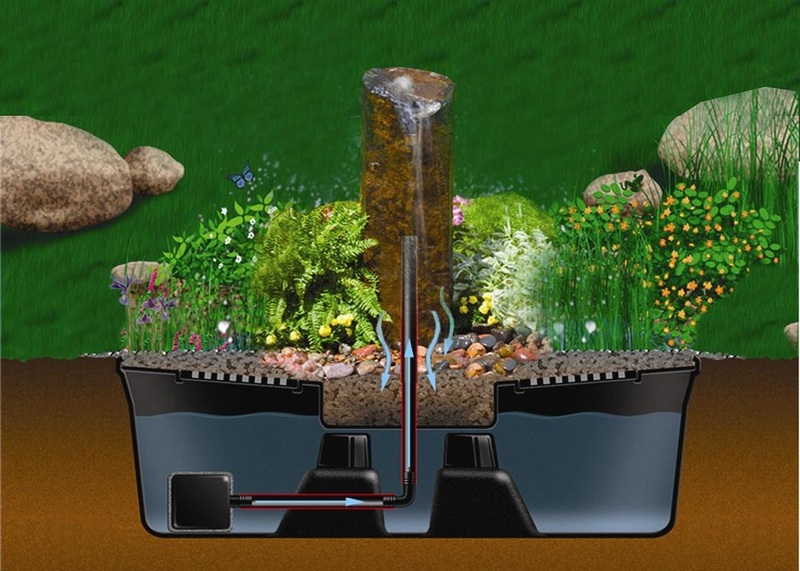 The AquaBasin™ can easily be installed within just a few hours if you like to tackle home projects on your own, or you can hire Picture Perfect Ponds to do the job for you. Aquascape provides a wide variety of decorative pieces that can be used in conjunction with the AquaBasin™, from ceramic urns to brass sculptures to carved stone structures. What's more, Aquascape adds new decorative options each year, so there's always something fresh and new to add to your landscape.